-- You can lock your windows and your doors, but you cannot lock your mind from The Hunter Inside. Paul Wayans and Bill Arnold have something in common. They are being stalked by a vicious killer. Sandy Myers, rushing from home with her 7 year-old twins in tow, grabs a letter from the mailbox. It is addressed to Sandy Carson. Her maiden name. Contained within the plain manila envelope is a photograph. A photograph of a corpse. The past has caught up with them, and now their lives are in jeopardy. 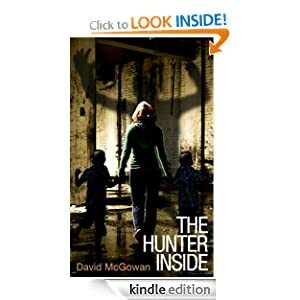 A monster more fearsome than any the world has ever seen is hunting them, bringing with it echoes from the past and threatening the future of civilisation. FBI Special Agent Sam O’Neill will fight desperately to solve a case that he could not solve ten years before. Then, he had no clues as to the identity of the vicious killer. This time, it’s different. But can he find them before it’s too late? And if he does not, will ANYONE survive? -- Looking across the vast expanse of lawn towards the padlocked gates, Susan wondered where it was all going to end. 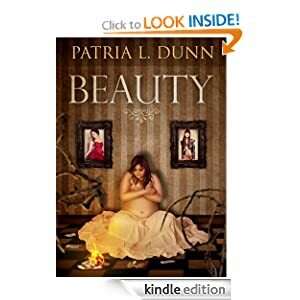 Drawn together with five other women under unusual circumstances, it was now time to discover the secrets held at Dunnbray. A thrilling story of intrigue and a life changing opportunity. 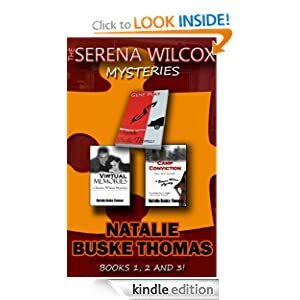 -- The Serena Wilcox Mysteries, featuring the private detective readers say they wish they could have as a friend, didn't break through until ANGELS MARK (book #4), written a decade after the first three books in the series. ANGELS MARK made Amazon's bestselling list on multiple occasions. But before the success of ANGELS MARK, the Serena Wilcox Mysteries was a little-known, little-read suspense series with a rough grassroots beginning. Serena Wilcox made her first appearance in the last half of GENE PLAY, the little red book that started the series in 1998. GENE PLAY had a print run of only 500 copies and until now has not been available for a wide audience. • GENE PLAY's plot is about in-vitro fertilization. • VIRTUAL MEMORIES is about virtual reality. • CAMP CONVICTION is about cults. All of these plots include motives such as greed and envy. Enjoy the humble beginnings of The Serena Wilcox Mysteries. 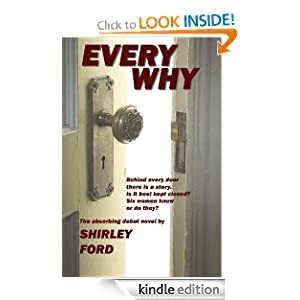 -- Private investigator Richard Steele must solve his most difficult case ever—his own murder—while caught between women on both sides of the grave. 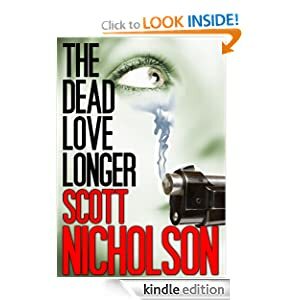 His lover Lee is tangled up in the mess he left behind, and his dead ex-wife Diana has been waiting on the other side for her chance at revenge. In a race against time as his spirit slips away, Richard confronts his many, many failings and faces a power beyond his understanding--love. His only weapon is faith, and he's running out of bullets. It's going to be a hell of a final showdown. -- Time is not on Vince Indigo's side, but it should have been, since he practically invented it. Life had once been easy as one of the world's richest men, living on the luxurious island colony of Atopia, but lately the universe had found a rather nasty way to frustrate Vince's expectations. Something in his future had begun relentlessly hunting him down, and to live another day, Vince must figure out the ghost-in-the-machine that is trying to kill him, and why it is that his own creation has trapped him in a deadly spiral of death. 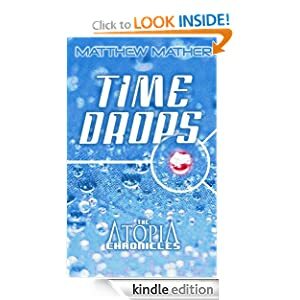 All of the Atopia stories are 'sidequels' that begin at the same moment, running side by side in time, so that you can start by reading any of them and then read the others in any order you choose to slowly reveal the mystery and terrifying danger that connects them all. Atopia is a near future world without borders that balances on the brink of post-humanism and eco-Armageddon. -- Plain. Invisible. Ugly. Fat. "Your fate is in your hands," were the witch's words, but when every bad deed counts, there's not much she can do to stop the weight from packing back on, even with coke as her new best friend. It was all moving too fast, her pain only masked by a high that was becoming harder to keep. A new life and social status was all she ever wanted but what she finds leaves her drowning in a beautiful nightmare that only gets worse.